I’ve been lucky enough to review the new Summer Land Artisan Collection camel milk skin care this summer for you guys. It’s a beautiful brand which is Australian made (in small batches) and owned. It has been developed with ultimate wellness in mind. I love finding local, Australian made companies to showcase some fabulous new products for you guys instead of the general large brands we find in the supermarket on a daily basis. I love that I am reviewing products made from camel milk as it’s an unusual ingredient to add to your daily skin care regime. Now… what benefits does camel milk have I hear you ask. Well I wondered the same thing myself before I stumbled across this amazing brand! Camel milk has wonderful moisture absorption, cell regeneration and collagen production properties. The unique molecular structure of the milk enables penetration to the lower layers of the skin and hair. Using these concepts, it makes for the perfect ingredient for a skin care brand! I have been using this range for over two weeks now and not only does it smell delicious, it is such a great natural alternative and I particularly love the day cream and the body wash. The Summer Land Brand is a favourite of mine as the quality is second to none. Most brands using camel milk use the powered form instead of fresh camel milk. Summer Land uses pure, chemical free, fresh camel milk that has not been subjected to damaging high temperatures, or high-pressure or chemical treatment processes, that otherwise destroy the milk’s valuable active ingredients. All the Summer Land Artisan Collection camel milk skin care is free from parabens, petrochemicals, SLS, sulphates and synthetic fragrances. The range is also sustainable, ethical, pasture raised, Australian made and owned, not tested on animals and recyclable. 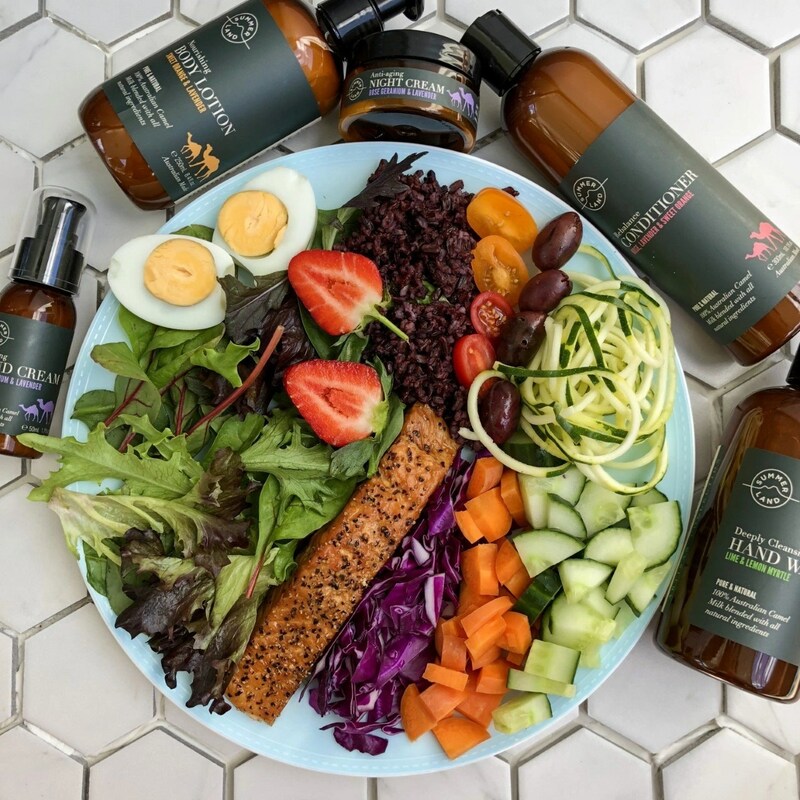 Active ingredients infused throughout the range include essential fatty acids, alpha hydroxy acids, vitamins and minerals, phospholipids and immune proteins. 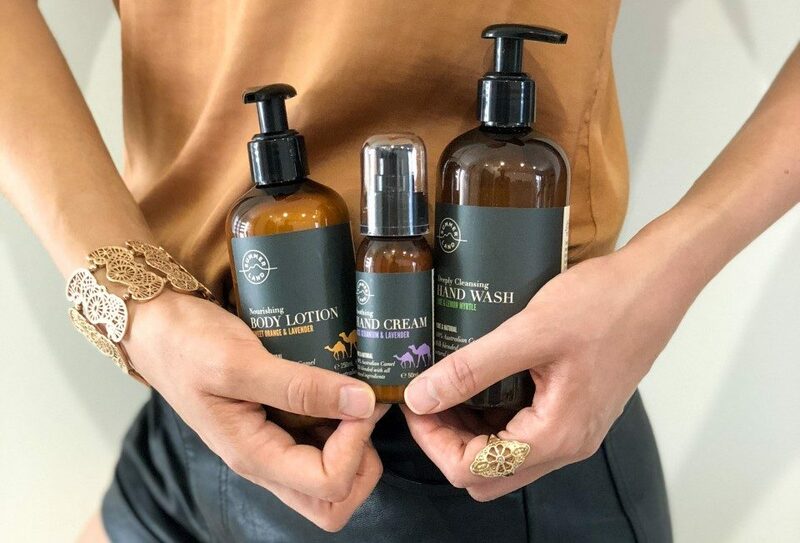 As I mentioned, my favourite two products are the Rejuvenating Day Cream with rose geranium and patchouli and the Luscious Body Wash with rose geranium and lavender. Other products in the range include Body Lotion, Hand Wash, Hand Soap, Hand Cream, Night Cream, Lip Conditioner, Shampoo and Conditioner. I have really sensitive skin and generally am very careful with the products I use on my skin. I didn’t find that any of the products in the collection made my skin feel dry or itchy or break out (which I have found from many brands in the past). Safe to say that this brand is good for sensitive skin and for all members of the family and I tested it on a 3 year old who loved it too! The other thing I really loved about it (besides the fact that it smelt amazing!) was that it was very light weight on my skin and absorbed easily. I don’t like products that feel too heavy on my skin or that I can still feel hours later. Similarly, I don’t like products that strip your skin of its natural oils. I like lightweight products that absorb easily and protect and hydrate your skin which I found this brand did perfectly. Disclosure: I’ve partnered with Summer Land to bring you this review today.